On average, alfalfa yields are reduced 6 percent in subsequent cuttings for every day harvest is delayed past cutting. In the photo, the damage to alfalfa’s regrowth from tire traffic is clearly visible. 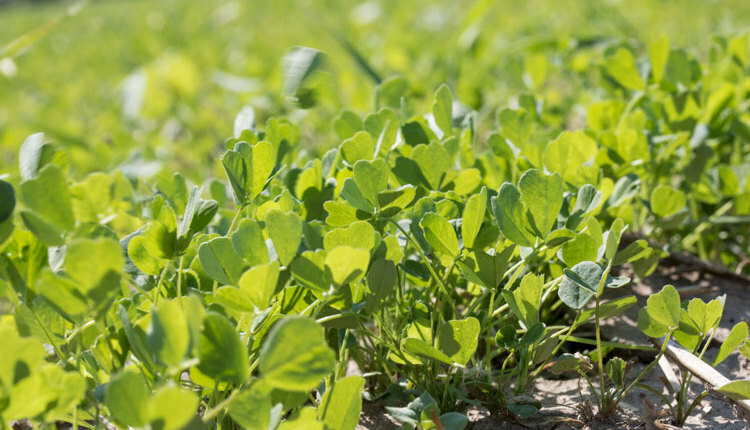 Choosing the right machinery for harvesting alfalfa can have a large impact on forage yield. While we certainly need to drive over the field to harvest it, we can minimize the effect traffic has on reducing yield of next cutting. The basic concepts are that less driving over a field and the sooner traffic occurs after mowing will result in less yield loss from next cutting. This can be significant. Our previous studies showed that wheel traffic over the entire field five days after mowing can result in up to 30 percent yield loss in the next cutting. The first consideration is to minimize leaf loss with roller conditioners properly adjusted for the harvesting conditions. I have been on some farms where the farmer did not know how to adjust his conditioner. Failure to adjust the conditioner to the yield results in underconditioning low yields and overconditioning high yields. The latter also results in wasted fuel. Adjust roller conditioners for both spacing and tension. The roller spacing can be determined by rolling a 1-foot square of aluminum foil — the same aluminum foil from the kitchen — into a 1-inch diameter roll. For best results, make three 1-foot squares and feed through the conditioner (one on each side and one in the center). The most compressed part is the roller spacing. It should match manufacturer specifications and be similar for all three locations on the mower. Machines with rubber rollers can wear in the center. When that happens, there will be a wider gap in the center than either edge. These rollers need to be replaced. The second consideration to getting hay off the field rapidly is to spread it in a wide swath when mowing to cover 70 percent or more of the cut area. This allows the sun to dry the hay quickly from 80 percent moisture at cutting down to 60 percent moisture to stop respiration. 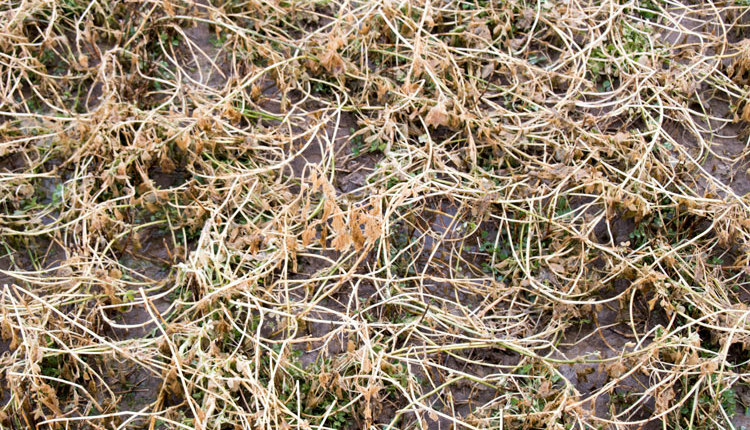 Failure to dry off the first 15 to 20 percent moisture quickly allows the alfalfa to respire; this results in the break down of starch and sugars and release of carbon dioxide. 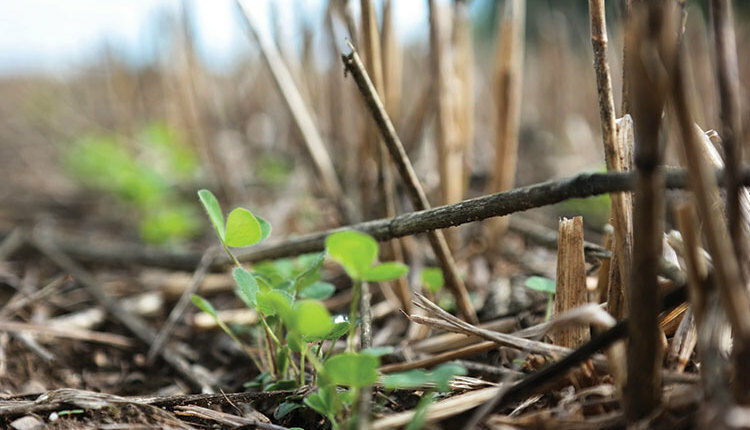 Respiration reduces dry matter yield and the forage quality of harvested material. Equally as important, putting hay immediately into a windrow (as with self-propelled mowers placing windrow between wheels) slows overall drying time. This is often done in the western U.S. where, with the best drying conditions in the world, hay may take five to seven days or more to dry for baling while areas starting with wide swaths can bale hay in two to five days. 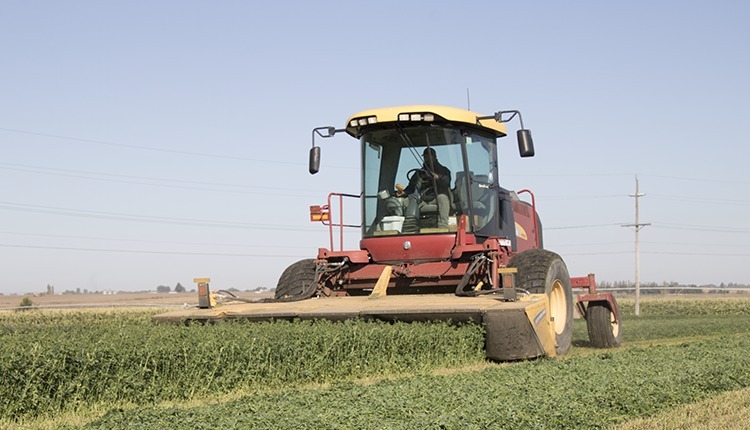 The longer time to remove the forage from the field means that the alfalfa has regrown more and driving over it to harvest breaks stems, which reduces next cutting yield. 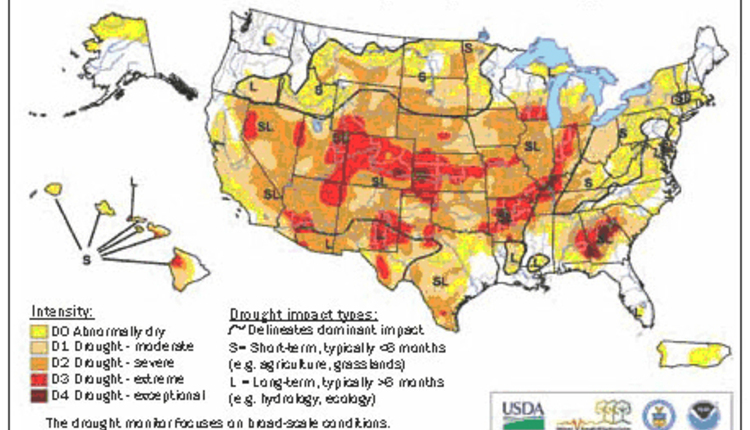 It also means that more arid regions cannot get back with irrigation water as rapidly, reducing season yield. We did a number of coordinated studies across the U.S. in the early 1990s and found that traffic on an alfalfa field reduced yield about 6 percent for each day traffic occurred after mowing. We had yield reductions of 30 percent when fields were driven over five days after mowing! 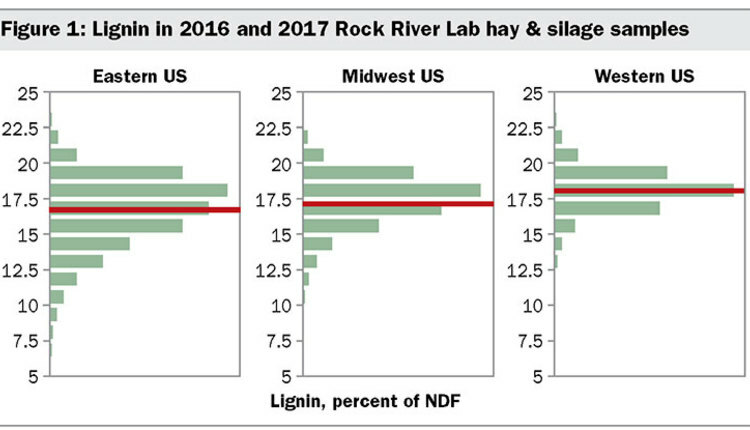 These studies showed the value of getting forage off the field quickly and why haylage (or baleage) fields always yield more than hayfields for dry hay. The trails were conducted in fields with pure alfalfa and 100 percent of the plots covered with the traffic. Most would correctly say, “I don’t drive over the entire field.” However, all farmers cover 30 percent or more of the field with wheel traffic when harvesting, and many farmers, especially in the Midwest and eastern U.S., cover 50 percent or more of the field with raking and again with harvesting. We decided to test the significance of wheel traffic in the Midwest on a field basis. I am told that the most common mower in the Midwest or eastern U.S. has a 10-foot-wide cutter bar. We looked at the difference between a 10-foot and a 12- or 13-foot cutter bar. 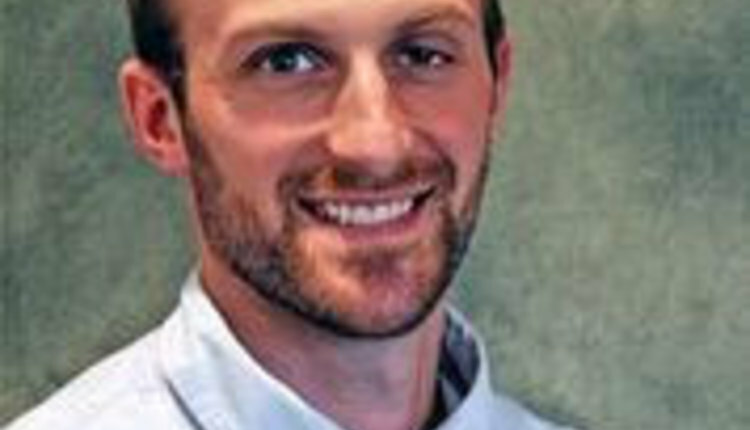 If one figures a mower with a 10-foot cutter bar pulled by a tractor with 20-inch tires and the mower having 15-inch tires, 70 inches out of 120 (cutter bar width) or 58 percent of the field are driven over when mowing. Again, the same amount if using a single swath rake and again as much when chopping or baling a single swath. If, as recommended, two or more swaths are raked/merged into a single windrow for harvesting, 29 percent or less of the field would be covered with wheel traffic. Plus, additional wheel traffic occurs from hauling the hay or haylage off the field. The wheel traffic with a tractor and 13-foot mower covers 44 percent of the field and each following operation is proportionately less. In our studies, we placed a piece of tape on the front of a 12- or 13-foot mower at 10 feet and then mowed portions of three fields or portions of fields with either a 10-foot swath or the full width (12 to 13 feet). Using the same mower for both swath widths meant that forage was cut at the same height and conditioned the same regardless of cutting swath width. In both treatments, two swaths were merged into a windrow 24 hours after mowing. The tractor and baler drove over the field five days after mowing, either every 20 feet or every 24 to 26 feet depending on the swath width. 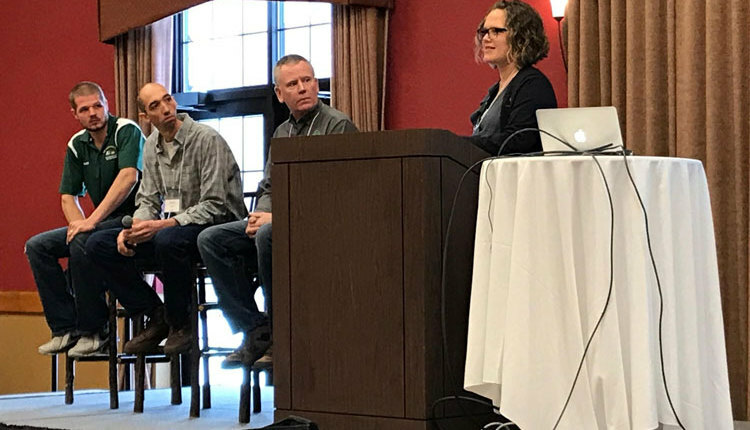 We did this study for three years on the USDA Dairy Forage Research Center and the University of Wisconsin Agricultural Research Stations just north of Madison, Wis. There was no difference on first cutting yield since no traffic was applied in the spring to these fields. Yield differences from traffic did occur on subsequent cuttings taken in June, July, and August when traffic occurred for first to third cutting harvests. On the average, the total yield of these three cuttings was about 3.5 tons dry matter per acre with the 10-foot cutter bar. The average yield gain of areas harvested with the 13-foot cutter bar and less wheel traffic was about 0.5 ton dry matter per acre. Thus, in three separate years, we raised yield of second to fourth cuttings a little over 10 percent by using a wider cutter bar and putting less wheel traffic on the field. 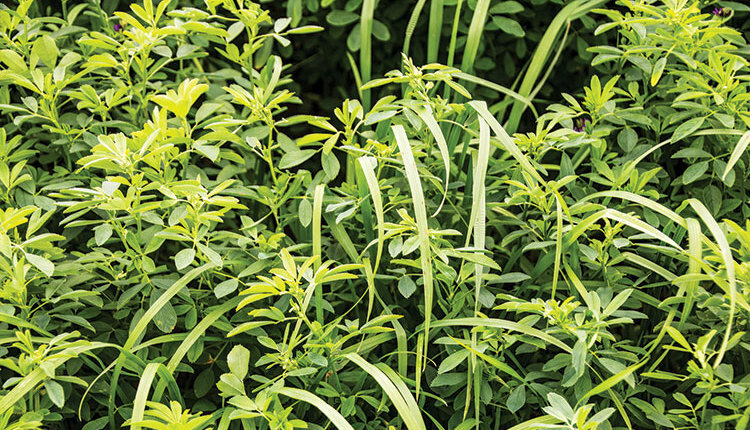 This research demonstrates the impact of wheel traffic on alfalfa. Attempt to minimize wheel traffic on alfalfa with whatever equipment is used. Is dry hay or haylage hauled off the field as quickly and directly as possible? Is pickup traffic minimized on the field? Is the field driven over to haul corn off adjacent fields? Then, as equipment is replaced, should you consider wider cutter bars? Also, keep in mind that this improved yield may be an advantage of contract harvesting where the contractor uses larger equipment than individual farmers.